The art of sound organization, also known as electroacoustic music, uses sounds not available to traditional music making, including pre-recorded, synthesized, and processed sounds. The body of work of such sound-based music (which includes electroacoustic art music, turntable composition, computer games, and acoustic and digital sound installations) has developed more rapidly than its musicology. 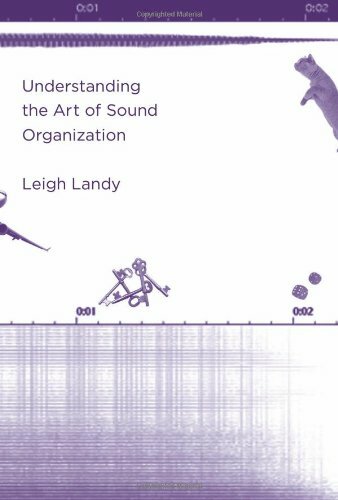 Understanding the Art of Sound Organization proposes the first general foundational framework for the study of the art of sound organization, defining terms, discussing relevant forms of music, categorizing works, and setting sound-based music in interdisciplinary contexts. Leigh Landy’s goal in this book is not only to create a theoretical framework but also to make sound-based music more accessible—to give a listener what he terms “something to hold on to,” for example, by connecting elements in a work to everyday experience. Landy considers the difficulties of categorizing works and discusses such types of works as sonic art and electroacoustic music, pointing out where they overlap and how they are distinctive. He proposes a “sound-based music paradigm” that transcends such traditional categories as art and pop music. Landy defines patterns that suggest a general framework and places the study of sound-based music in interdisciplinary contexts, from acoustics to semiotics, proposing a holistic research approach that considers the interconnectedness of a given work’s history, theory, technological aspects, and social impact. The author’s ElectroAcoustic Resource Site (EARS, www.ears.dmu.ac.uk), the architecture of which parallels this book’s structure, offers updated bibliographic resource abstracts and related information.